Justia Lawyer Directory Search for "Erika Lynn Morabito"
Search for "Erika Lynn Morabito"
Bill Lynn has been with GTH since 1979 and his approach has always been characterized by an emphasis on problem-solving. His primary areas of practice include land use and zoning, real estate, environmental law, and municipal law. 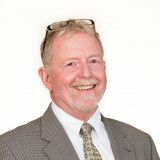 He has provided land-use representation for large and small residential, commercial, industrial and mixed-use projects throughout the Puget Sound area and is experienced at litigating matters under the State Environmental Policy Act.